the battery without plugging in to a charger. * The fast wireless charging is supported on fast wireless charging pad. 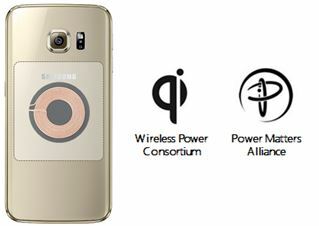 * The wireless charging pad should be purchased separately. 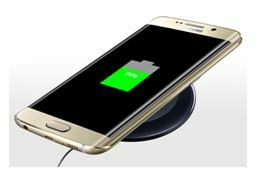 Simply place the Galaxy S6 Edge+ on the wireless charger. It’s offering you all the convenience of charging without the need to plug in. chargers available in the market.